Moony Nashville daydreamers PALM GHOSTS already touched Turn Up The Volume‘s soul last June with their third, impassioned long player Architecture. It’s actually one of the most delicate and captivating guitar pop records I heard all year. And with their new single the band confirms once again, graciously and stylishly, their gripping, high-quality songwriting qualities. THE GOLDEN AGE is a full-hearted beauty, a melancholic pearl, a romantic humdinger. At the very heart of it is a sepia colored melody that will send you to never-never land instantly. 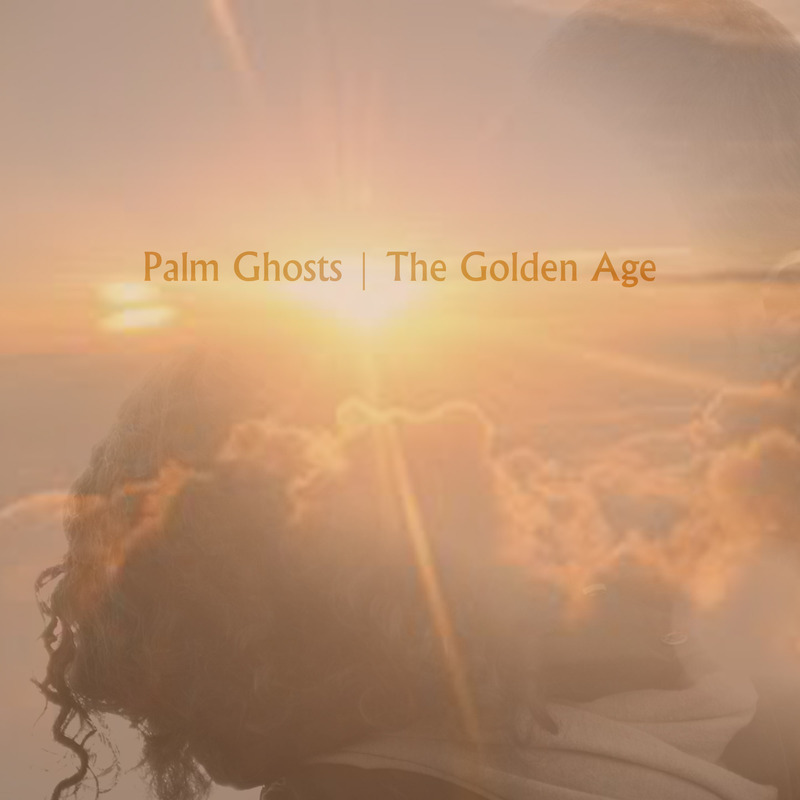 With poetic guitar lines, yearning female/male duet vocals and matching, atmospheric synths Palm Ghosts designed a sweet symphony for the twilight hours.